After getting the much-delayed nod for Phase IV of Metro, the Delhi Metro Rail Corporation (DMRC) has also got green signal to run it on Public-Private Partnership (PPP) model. 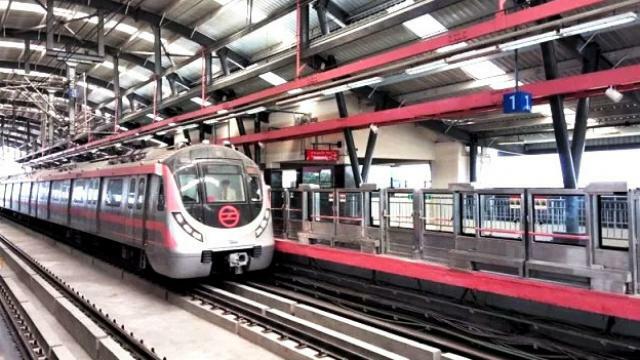 Delhi, Metro Rail News: The Ministry of Housing and Urban Affairs (MoHUA) has granted the approval wherein the DMRC, in a first for any of its corridors since it was launched, will involve private operators to run the operations. After getting the much-delayed nod for Phase IV of Metro, the Delhi Metro Rail Corporation (DMRC) has also got green signal to run it on Public-Private Partnership (PPP) model. As per the proposal, while the DMRC will lay down the track, a private company will be roped in to get coaches on the lease. The private player will be decided through a bidding process. The Delhi Metro is also likely to pay a private firm to run its trains. Besides, other essential services across all the metro stations like elevators, escalators and AFC (automated fare collection) gates will also be outsourced to private companies in the coming time. According to the source, The Delhi Metro has sought permission to complete phase IV in two phases. The first one will be the section between Mukundpur-Maujpur, Tughlakabad-Terminal 1 section and Janakpuri (west)-RK Ashram section, while the second one is the section between Rithala-Narela, Inderlok-Indraprastha section and Lajpat Nagar-Saket G-Block section. The latest Detailed Project Reports of six corridors of Metro phase IV states that the 104-km Metro Phase-IV network is expected to be completed by December 31, 2024. The proposed lines are Mukundpur-Maujpur, Rithala-Narela, Tughlakabad-Aerocity, Inderlok-Indraprastha, Lajpat Nagar-Saket G-block and Janakpuri (west)-RK Ashram. The 104-kilometre network is expected to increase the ridership by 1.5 million passengers daily, with south Delhi residents benefitting particularly from it, connecting them to the airport and other areas.